The Aeronca logo was usually found on the vertical stabilizer of Aeronca Champs. The Aeronca Aircraft Corporation was founded November 11, 1928 in Cincinnati, Ohio. 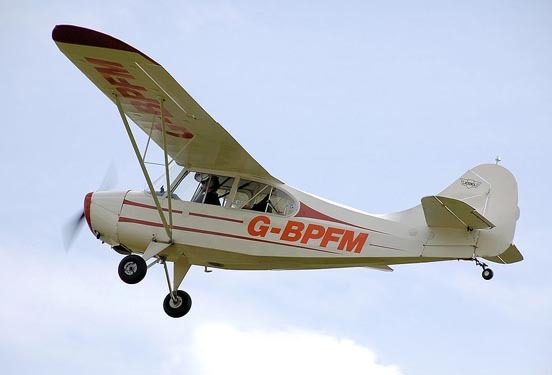 Backed by the financial and political support of the prominent Taft family and future Ohio senator Robert A. Taft who was one of the firm's directors, Aeronca became the first company to build a commercially successful general aviation aircraft. 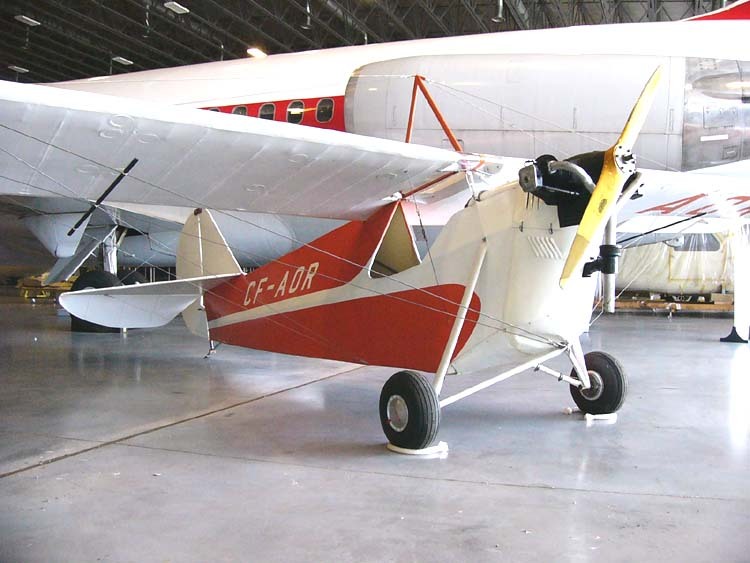 When production ended in 1951, Aeronca had sold 17,408 aircraft in 55 models. Production began with the Jean A. Roche-designed Aeronca C-2 monoplane, often called the Flying Bathtub, in 1929. The next major model was the Scout of 1937, a two-seater, which was developed into the Chief and Super Chief the next year. In 1937 there was a major flood at the Lunken Airport, resulting in the entire airport area being washed away. Aeronca's factory was destroyed, along with the tooling and almost all of the very early blueprints and drawings. At this time a decision was made to move the operation to a more stable area. Middletown Ohio was chosen and the company has remained there ever since. All of the airplanes produced from the start of production in 1929 to 1937 are known as the "Lunken" Aeroncas. The first Aeronca built in Middletown was produced on June 5, 1940, and after this time all Aeroncas were built here. In 1945, following the end of World War II, Aeronca returned to civilian production with two new models, the 7AC Champion or Champ and the 11AC Chief. While the Champ shared its tandem seating arrangement with the prewar tandem trainer and the Chief shared its name with the prewar Chief designs, both were new designs. A benefit of the concurrent development was that the new designs had about 80% of their parts in common. Nevertheless, the Champ was favored by the public, evidenced by its outselling its sibling at a rate of 4 to 1. Between 1945 and 1951, nearly 8,000 Champions were manufactured; while over the same period, approximately 2,000 Chiefs were produced. 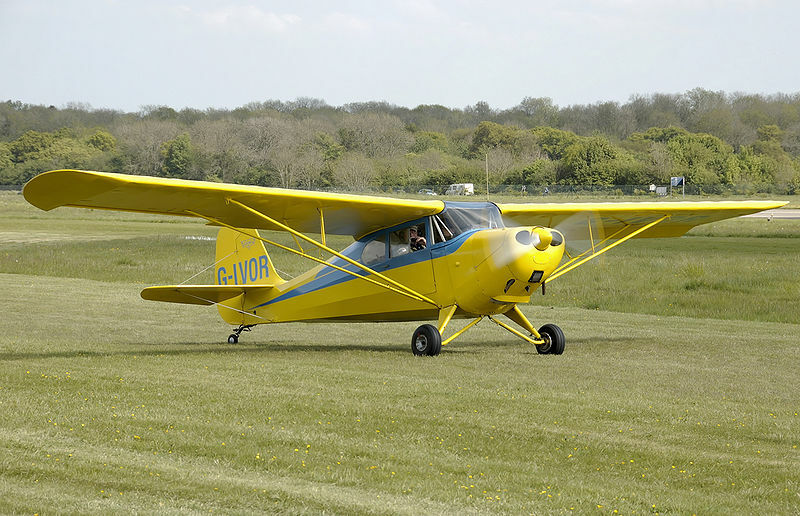 Aeronca ceased light aircraft production in 1951, and in 1954 sold the Champion design to the new Champion Aircraft Corporation of Osceola, Wisconsin, which continued building variants of the Champion as well as the derivative design, the Citabria. Aeronca now builds components for aerospace companies including Boeing, Northrop, Lockheed and Airbus. In its 23-year history as a general aviation and military aviation manufacturer, Aeronca produced 17,408 aircraft spanning 55 different models. Aeronca Aviators Club, started by Joe Dickey. 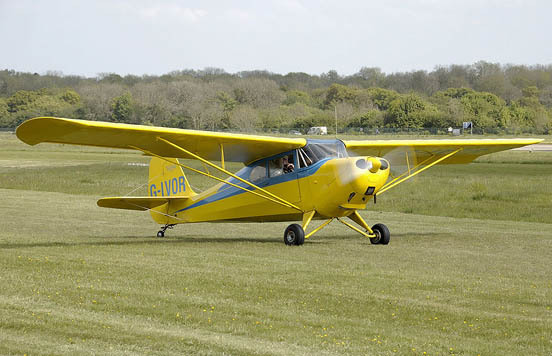 National Aeronca Association, associated with the original Aeronca factory. aeronca.com, run by Todd Trainor, supporting various models of the aircraft. Fearless Aeronca Aviators, a very popular Aeronca email list.